White leather purses are popular in spring and summer because they are bright and complement just about any outfit. While they look great, a white leather purse can seem to be a magnet for dirt and stains. Don't fear. 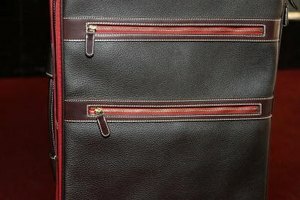 It is possible to restore your white leather purse to like-new condition. The key to successfully cleaning your white leather purse does not just lie in removing the stains but also in ensuring that you are using the proper materials and cleansing solutions to avoid damage to the quality of your leather. 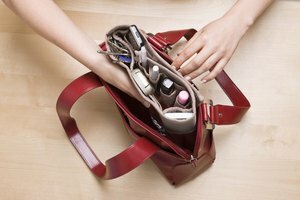 Empty your purse of all belongings. Turn the purse upside down over a trash can and shake to remove any and all dirt. Then close all exterior zippers to prevent any of the bleach/cleaning solution from seeping onto the interior fabric. Lay a white towel on a flat surface to use as your cleaning station for your purse. This will protect the surface from the bleach/cleaning solution as well as protect your purse from acquiring any more stains during the cleaning process. Cover your hands with clear or white plastic gloves and mix 1/3 cup bleach into 1 cup hot water. 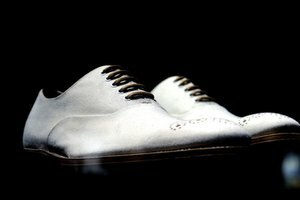 You may have heard that bleach is too harsh to use on white leather. This is only if the leather has a finish. If your leather has a finish, use a gentle liquid soap instead of bleach. Using undiluted bleach directly on white leather may not be beneficial to the quality of finished or unfinished leather. Diluting the bleach with water, however, produces a safe and effective cleaning solution for your unfinished white leather purse. Submerge a soft white cloth into the bleach or soapy solution. Squeeze to extract excess liquid from the cloth before applying it to your purse. With the damp cloth, begin rubbing the stained areas of the purse until they are removed. Resubmerge your cloth in the solution and squeeze excess liquid as you move onto other stained areas of the purse. As stains transfer from the purse to the cloth, rotate to the clean areas of the cloth as you cover new areas. Take the clean dry soft white cloth and rub over the cleaned surfaces of your white leather purse to remove excess moisture. Once the purse is completely dry, spray a water-based leather protector or conditioner all over as a finish to restoring the condition of your white leather purse. Hang in a safe area to dry. 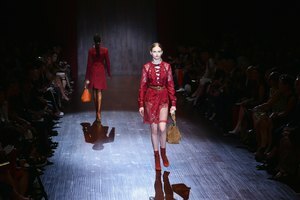 If your white leather purse is on the expensive side and you don't want to risk cleaning it on your own, seek out local cleaners who specialize in leather and bring your stained purse to them. They may be able to safely and successfully restore the condition of your purse. Try to avoid touching your white leather purse right after you apply lotion to your hands. The transference of oils to your purse can cause discoloration and stains. For ink stains on a white leather purse, submerge a Q-tip in non-acetone nail polish remover and rub strictly concentrating on the area of the ink stain. 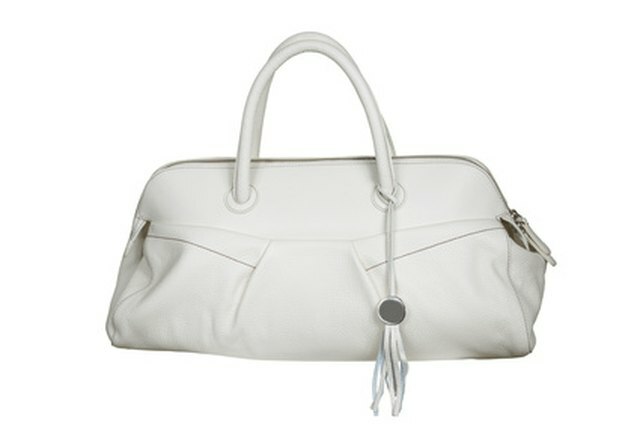 Always store your white leather purse in a dust bag after use to protect from dust, dirt, and stains. Never use alcohol, cleansers with silicone, sulfates, oil-based products or any type of solution wipes to cleanse your white leather purse. 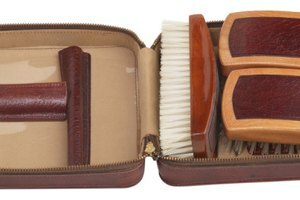 These products can smudge stains and damage the surface and quality of leather.